Seat belts are supposed to be a reliable way to prevent additional injuries in car accidents by preventing people from being thrown into the interior of the car or being ejected from the car completely. Unfortunately, there are multiple ways in which a seat belt can fail to protect the occupants of a vehicle. One of these ways is through inertia seat buckle release. When an accident occurs, particularly a rollover accident, the impact may cause the seat belt buckle to release the latch even when the button is not pushed. As one might assume, this is extremely dangerous and leads to much more severe injuries in rollover accidents than it would if seat belts did not fail. Seat belts are one of the most important ways people protect themselves from harm. When this safety measure fails, it may be due to negligence on the part of the vehicle manufacturer. If you or someone you love was in an accident involving inertia seat buckle release, contact the Willis Law Firm today at 800-883-9858 to learn more about how you may be entitled to compensation. 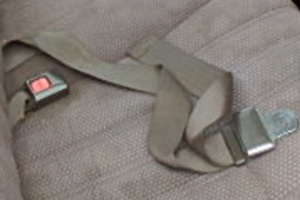 There are two different types of seat belt buckles. One group has a release button on the side, the other has a release button on the end. Unfortunately, both are capable of suddenly releasing in the midst of an accident. The Willis Law Firm takes the rights of our clients seriously. We believe that if someone is injured due to defective vehicle parts, they should be compensated for their pain and suffering. To learn more about your legal options today, contact us at 800-883-9858.